Dallas Personal Trainer - A great exercise that unfortunately is rarely used by a Dallas personal trainer in spite of its ability to teach the client how to contract the pecs and lats correctly and teach the shoulders how to hold themselves down in position correctly for all other pressing movements. An excellent exercise to use before moving on to dips, especially if the Dallas gym you are training at doesn't have an assisted dip machine. 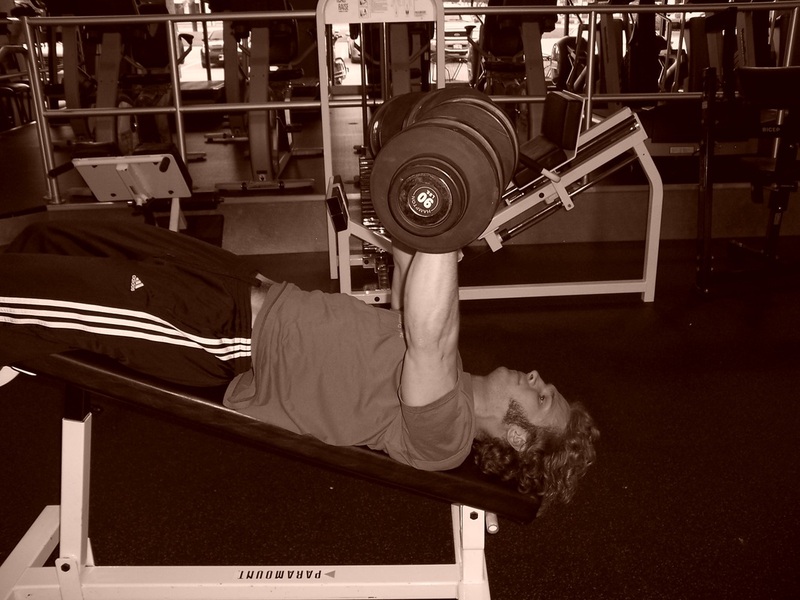 Find a Decline Bench, hook your ankles into the slots, lie back, and have someone hand you the dumbbells if possible. If you do not have someone to hand them to you, then you will have to hold them in your hands as you get hooked into the bench and lay down. Once you are set, lower dumbbells to your armpits, letting your chest muscles stretch, and then press them up and together. Use this top point to get a very tight contraction in your chest muscles. When you lower the dumbbells to the armpits, on each rep, allow the chest muscles to get a good stretch at the bottom without allowing your shoulders to shrug. Then go smoothly into the next rep without jerking the weight or using momentum. Make sure that you keep your armpits squeezed tightly throughout the entire exercise. 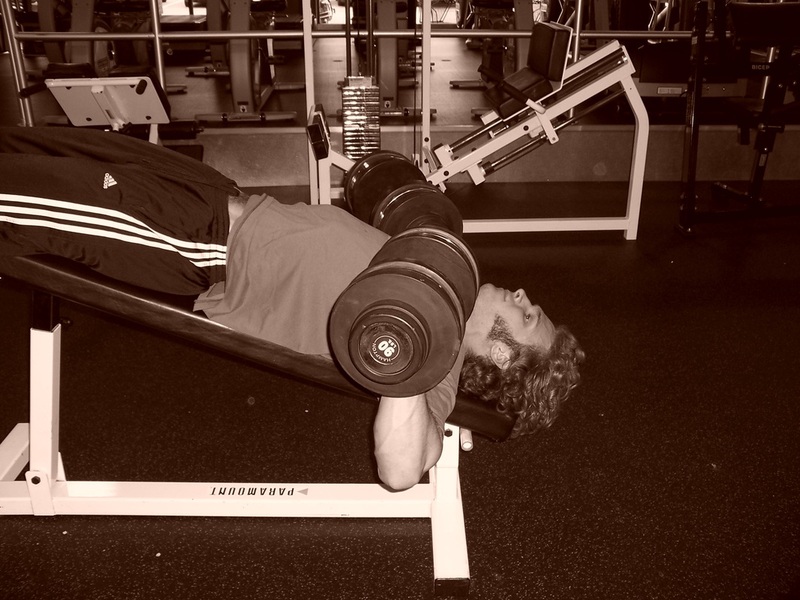 Refer to tips for Decline Barbell Press.